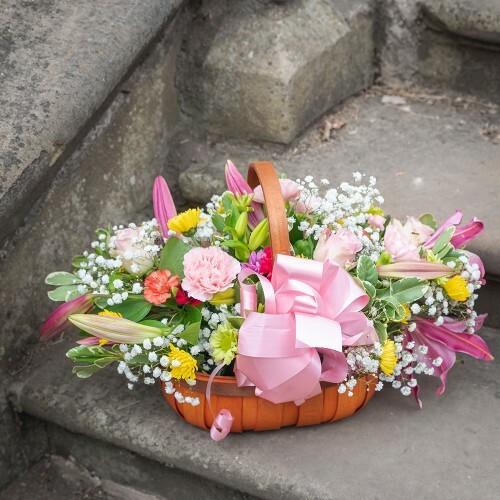 Available in a range of shapes and sizes, our basket arrangements are the ideal gift for those looking to keep their flowers beautifully arranged. Perfect for special occasions, our baskets are bound to make a statement as they are gift wrapped in cellophane with a coordinating bow. Easy to maintain, flowers are set in oasis which can be topped up with water. 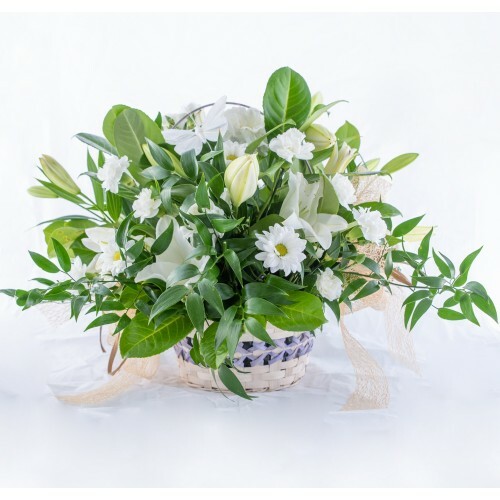 An all the way round basket of oriental lilies, carnations and mixed greenery. This basket looks bea.. 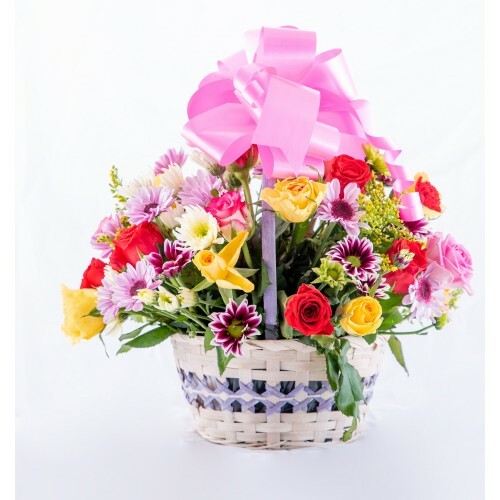 This structured basket is a striking design, sure to make a statement. 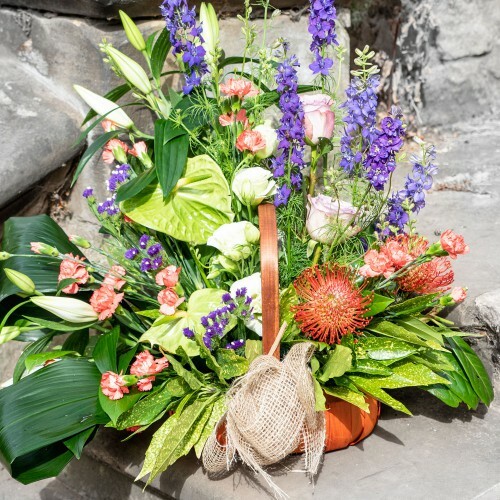 Opt for vibrant brights or mo..
Bring a little bit of the outside in with this bespoke combination of high quality blooms and wild t.. 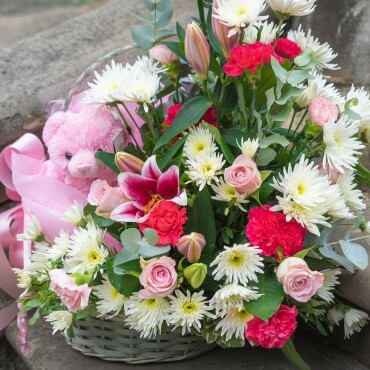 Perfect for baby showers and new babies, this large, traditional basket of flowers is presented with..
An all the way round basket of British favourites. This pretty mix of colour looks beautiful from al.. 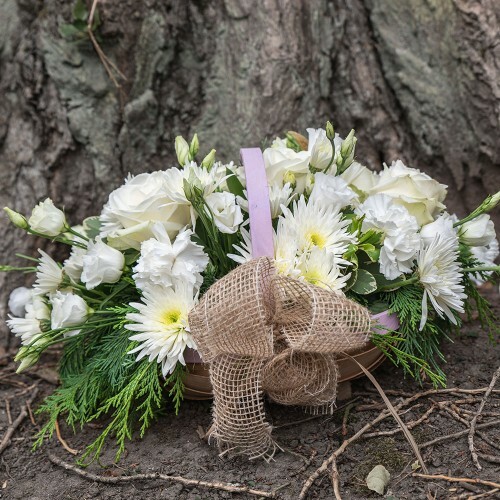 This classic all-white basket is full of country charm, set in a rustic basket and finished off with..